What a beautiful day! Sunny and warm. 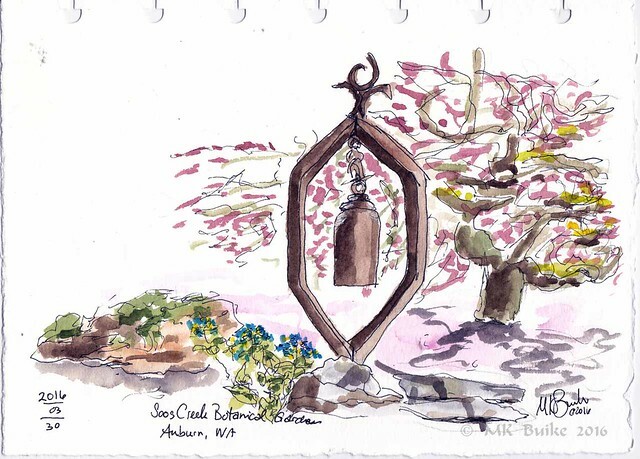 I checked that Soos Creek Botanical Garden is now open for the year again. 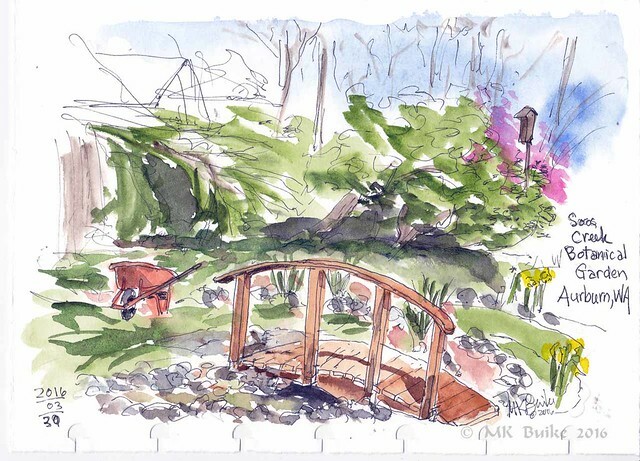 It's not very far from my home and a beautiful place to sketch with several different garden environments. I had intended to sketch a sculptural fence I'd seen there last time but it was gone. So I sketched a small bridge and then a large bell. On my way home, I stopped at my favorite view point for Mt. 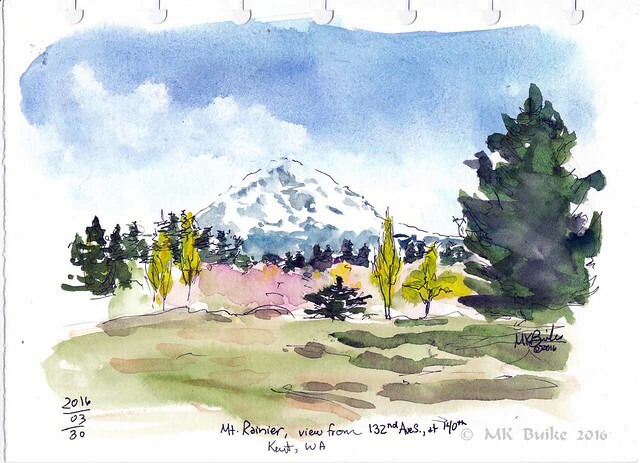 Rainier and did another sketch. All of these are a perfect celebration of spring AT LAST!